It can be a challenge to figure out the right diet for Small Intestine Bacterial Overgrowth (SIBO) with the array of conflicting advice online. The previous blog in this series, Understanding SIBO, reviewed the basics – common signs and symptoms, diagnosis, and treatment strategies. In this article you’ll learn about the five most popular diets for SIBO, and review the pros, cons, and available supporting evidence. What is the role of diet in SIBO treatment? Although poor diet can worsen bacterial overgrowth, it is unlikely the root cause. Therefore, diet alone is not typically used to “treat” SIBO, but can help manage symptoms and prevent relapse. The common theme amongst all of these diets is elimination of specific groups of carbohydrates that are fermentable and resistant to digestion. However each diet is unique in its overall function, which is highly dependent on the specific carbohydrates eliminated as well as overall restrictiveness. The diets discussed in this article range from less restrictive (used for milder cases of SIBO) to highly restrictive (used for more severe cases). When to start a SIBO-diet? SIBO diets (with the exception of the Elemental Diet), are typically used before, during, or after the treatment regimen. The duration and timing of the diet can vary greatly and is highly dependent on the individual and their specific treatment plan. Sometimes a SIBO diet is recommended before the initiation of treatment, typically right after a SIBO diagnosis. This can be helpful when the individual is experiencing extreme symptoms of gas and bloating or is highly motivated to get a jumpstart on feeling better. There is still ongoing debate regarding the appropriateness of dietary restriction DURING treatment. Some practitioners recommend patients avoid certain foods to prevent “feeding” bacteria. This may be beneficial for individuals presenting with severe symptoms. Other practitioners take on a more liberal dietary approach during treatment, allowing intake of a small amount of fermentable carbohydrates. The idea is that bacteria may form biofilms, protective coverings that shield them from antimicrobials and reduce the overall effectiveness of treatment. By providing a small amount of fermentable carbohydrate, the bacteria can prosper, ensuring they stay active and susceptible to the work of the antimicrobial agents. This idea is promoted by well-known SIBO researchers such as Dr. Mark Pimentel. Often, a SIBO diet is continued even after completion of treatment. The goal of the diet is to prevent SIBO relapse. The diet can be transitioned over time towards a less restrictive eating style. How long do SIBO diets last? The duration of SIBO diets is variable and depends on the individual’s overall health, symptoms, and response to treatment. Because these diets are restrictive in nature, following them long-term may pose certain risks. If not planned carefully they can be devoid of important essential nutrients as well as prebiotic fiber, which is necessary for the maintenance of a healthy, diverse gut flora. The overarching goal is to use a diet to help support SIBO treatment and prevention, but eventually get back to a diverse, healthy eating style. Here is a brief outline of the five most popular diet protocols used for SIBO. The Low FODMAP Diet was championed by researchers at Monash University (Australia) for the management of IBS symptoms. The premise of the diet is to limit intake of a group of carbohydrates known as FODMAPs, short for Fermentable Oligosaccharides (fructans and oligosaccharides), Disaccharides (lactose), Monosaccharides (fructose), And Polyols (sorbitol and mannitol). Some of these carbohydrates are resistant to digestion and when not properly broken down, can cause symptoms of gas and bloating. Additionally, some of these carbohydrates have an osmotic effect in the gut and pull in extra water, producing symptoms like loose stools, diarrhea, and abdominal cramping. Legumes Small amounts of chickpeas, edamame, lentils, extra firm tofu, etc. Most legumes like black beans, kidney beans, split peas, etc. Vegetables Bell pepper, zucchini, tomato, spinach, carrots, etc. Garlic, cauliflower, onion, asparagus, etc. Fruits LIMITED portions of SOME fruits such as grapes, strawberries, oranges, etc. SOME fruits such as apple, watermelon, mango, etc. The Low FODMAP diet has been shown effective in improving symptoms in up to 70% of patients with IBS, especially diarrhea predominant IBS (1). Despite a lack of studies evaluating the effectiveness of a low FODMAP diet for individuals with SIBO, there is a high prevalence of SIBO in IBS patients (2). This strong correlation explains why a low FODMAP diet is commonly used for SIBO, especially when the individual presents with IBS-like symptoms. The Specific Carbohydrate Diet (SCD) was developed by researcher Elaine Gottschall and Dr. Sidney Haas over 50 years ago and has been used extensively in the management of various forms of bowel disease such as Crohn’s, ulcerative colitis, celiac disease, diverticulitis, cystic fibrosis, and chronic diarrhea. Monosaccharides (simple carbohydrates which are easily absorbed through the intestinal wall) are allowed. Complex carbohydrates such as disaccharides and polysaccharides (which must undergo a more extensive digestive breakdown prior to absorption) are not allowed. The premise of this diet is to limit certain carbohydrates based on their molecular structure. Essentially this eliminated intake of most starches and grains. Dairy 24-hour fermented yogurt, butter, aged cheeses Processed dairy and fresh cheeses such as feta, mozzarella, etc. Vegetables Fresh or frozen non-starchy veggies such as cucumber, broccoli, garlic, etc. Canned and starchy veggies such as yams, parsnips, etc. Although there has been some evidence of benefit in patients with Inflammatory Bowel Disease (IBD), the SCD has not been exclusively studied in IBS or SIBO (4). Regardless, the SCD is often used with SIBO due to its potential to reduce intestinal inflammation, improve nutrient absorption, and bring about balance to the bacteria in the gut (5). 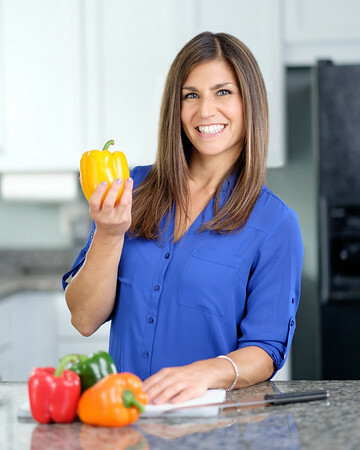 The SIBO Specific Food Plan was designed by leading SIBO expert Dr. Allison Siebecker, and is one of the few diets formulated specifically for SIBO. This diet plan essentially combines both the SCD and low FODMAP diet and therefore restricts the broadest range of carbohydrates. Legumes LIMITED portions of lentils (brown, green, red) and lima beans MOST legumes and beans including soy, pinto, garbanzo, split peas, etc. Vegetables Fresh/frozen non-starchy veggies such as arugula, cucumber, tomato, etc. LIMITED portions of certain veggies such as snow peas, green beans, broccoli, etc. ALL canned/starchy veggies such as yams, potato, corn, etc. Fruits SOME fruits such as strawberry, citrus, kiwi, etc. This diet has not yet been studied in clinical trials. However, it was designed by Dr. Siebecker after years spent treating some of the more difficult cases of SIBO and incorporates principles from other well studied SIBO diets. The rationale is that elimination of both fermentable AND complex carbohydrates will provide the benefits associated with both the SCD and low-FODMAP diet. The SIBO Bi-Phasic Diet designed by Dr. Nirala Jacobi is a modified version of Dr. Siebecker’s Sibo Specific Food Plan. This treatment protocol combines diet modification with specific gut healing and antimicrobial treatments. The first phase (4 – 6 weeks), focuses on reducing potential trigger foods, as well as repairing the gut lining and digestive function. This phase involves a very restrictive diet plan along with gut healing nutrients, digestive support, and probiotics as needed. The second phase (4 – 6 weeks), focuses on removal of the overgrowth and restoration of gut motility. While the emphasis is still on a low-fiber diet, it is slightly more lenient. This phase also involves the use of antimicrobial herbs and prokinetic medications or supplements. Like the SIBO Specific Food Plan, there are no clinical trials to support the effectiveness of this protocol. Support for the SIBO Bi-Phasic Diet comes from patient testimonials and backing from well-known SIBO experts such as Dr. Jacobi. The Elemental Diet is by far the most restrictive, and is the only diet considered to be a primary treatment strategy for SIBO. The diet requires exclusive consumption of a medical food beverage for 2 – 3 weeks. The goal is to provide all nutrients necessary for survival in their most basic, predigested form. The benefit of this is two-fold. First, because the gut isn’t being taxed with the job of breaking down large food particles, it has the opportunity to rest and repair. Second, because all carbohydrates are absorbed almost immediately, the overgrowth of bacteria is starved of its primary food source and will begin to die off. ** Visit Dr. Siebecker’s website for a more detailed overview of what constitutes an Elemental Diet. The Elemental Diet has been shown effective in both symptom management, as well as treatment of SIBO. One study looking at the effectiveness of a 14-day elemental diet in individuals with IBS, found that up to 84% of patients went from displaying abnormal to normalized breath tests by the end of treatment (6). 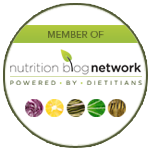 Which SIBO diet is best for me? Choosing the most appropriate SIBO diet depends on your current lifestyle, eating habits, motivation level, and SIBO history. Some diets are more mild and may be appropriate for those experiencing their first round of SIBO treatment. Other diets are much more aggressive and geared towards individuals with severe cases of SIBO or a history of multiple failed treatment attempts or relapse. There are many important considerations but at the end of the day, there is no perfect diet for SIBO and relapse prevention! The best strategy is to stay informed on the available options and to work closely with a knowledgeable health care professional to find a treatment plan that works best for you.